Lounge chair with polished chrome finish on tubular steel base. 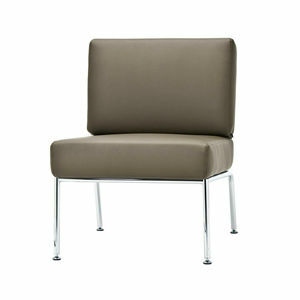 Polyurethane foam seat and back upholstered with fabric or leather. Minimum quantity of 8 for COM/COL projects.